Penalties are even higher for subsequent convictions or cases involving accidents. Loss of a professional CDL license or the ability to obtain one. 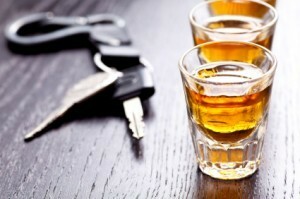 When you are charged with a DUI, it is important to immediately retain a skilled attorney such as Miami DUI defense attorney Albert Quirantes, Esq., who understands the scientific techniques involved in Breathalyzer and blood tests, and how to question the reliability, accuracy, and validity of the roadside tests you were given. You only have 10 days, just 10 days to try to save your drivers license. If you hire an attorney within 10 days, your attorney may file for a formal review hearing at the administrative court and obtain a license for you immediately while that case is fought. While Florida DUI laws are complicated and the penalties heavy, a knowledgeable criminal defense lawyer such as Albert Quirantes with experience in DUI cases can often obtain not-guilty verdicts, dismissals, and favorable plea bargains such as a reduction in charges to a lesser offense and diversion. In Florida, DUI can be classified as either a felony or a misdemeanor depending on the circumstances. At the Miami Dade law offices of Albert Quirantes, Ticket Law Center, P.A., we aggressively and zealously defend those accused of DUI in most Florida counties. We are criminal defense trial lawyers that offer a high caliber legal defense at a reasonable fee. Our goal is to successfully defend your DUI, protect your driver’s license, and keep insurance costs down. If we do not serve your area, we can assist you in obtaining experienced and proven legal representation. If you have been charged with DUI and need legal help, call attorney Albert M. Quirantes, Esq. as soon as possible at 786-472-4707 for a free initial consultation. We offer reasonable flat fees and payment plans to fit almost every budget. You’re right and your freedom are at stake, call us now.